This is a lovely side dish, and it was good reheated. 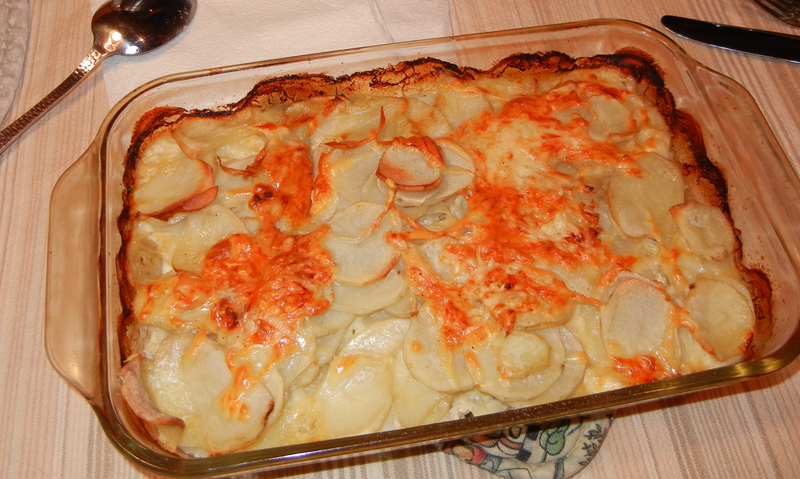 It is an adaptation of Julia Child’s classic scalloped potato recipe. I further adapted it to make it even lower in fat by eliminating one tablespoon of butter (you don’t really need to butter the pan) and using Jarlsburg light cheese and non-fat milk. This is a quick dish to make with no fuss. 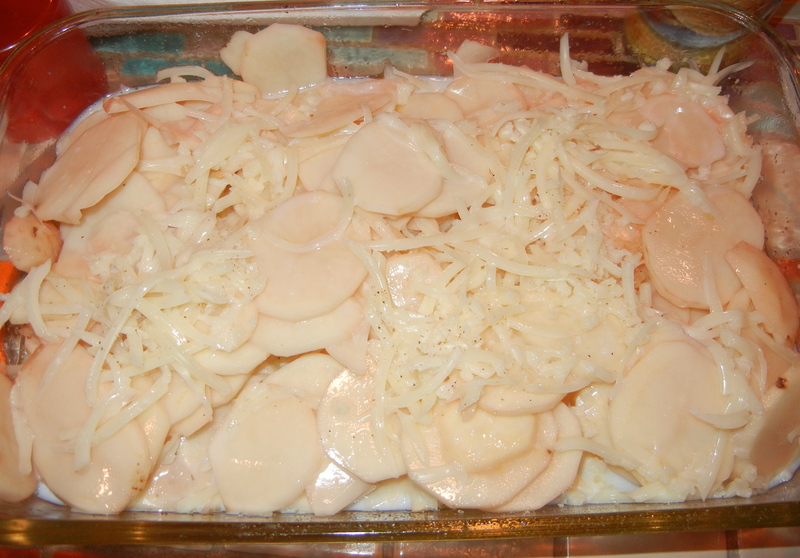 No fussy sauce – just layer thinly sliced potatoes and cheese, drizzle with hot milk and bake. 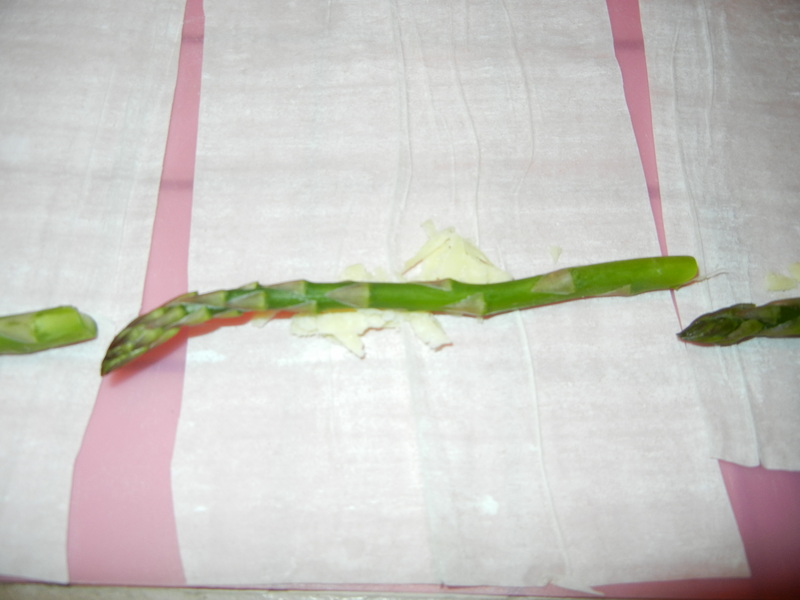 Mind you, this is the dish I made during which I sliced the tip of my finger off using a mandoline to slice the potatoes. This made the dish a bit more fussy. But if you’re careful, it’s a great dish. 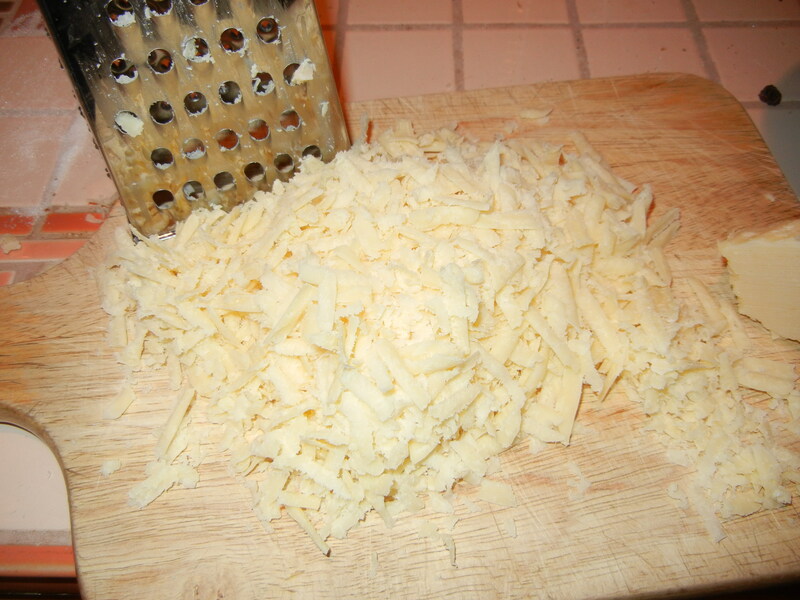 Use any kind of low fat sharp cheese and milk you have on hand. I’m going to try it with cheddar in the near future. Preheat oven to 425F. Spray an 11-by-7-inch baking dish or gratin dish with cooking spray. Arrange half the potatoes in dish, sprinkle with half the garlic, drizzle with half the butter, half the cheese, and half the salt and pepper. Repeat layers. Pour hot milk over potatoes. 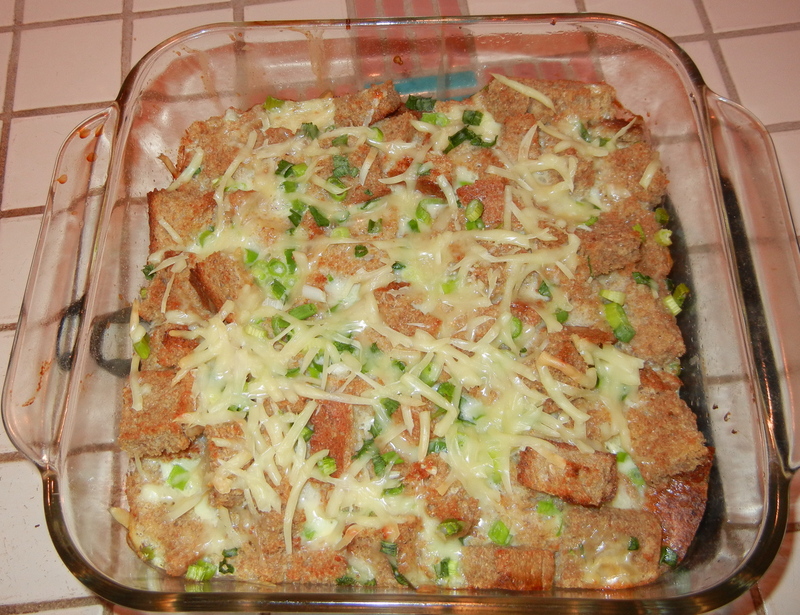 Bake 40 minutes or until potatoes are tender, milk is absorbed and top is browned. My potatoes took about an hour. Serves 6 at about 6 grams of fat/serving. 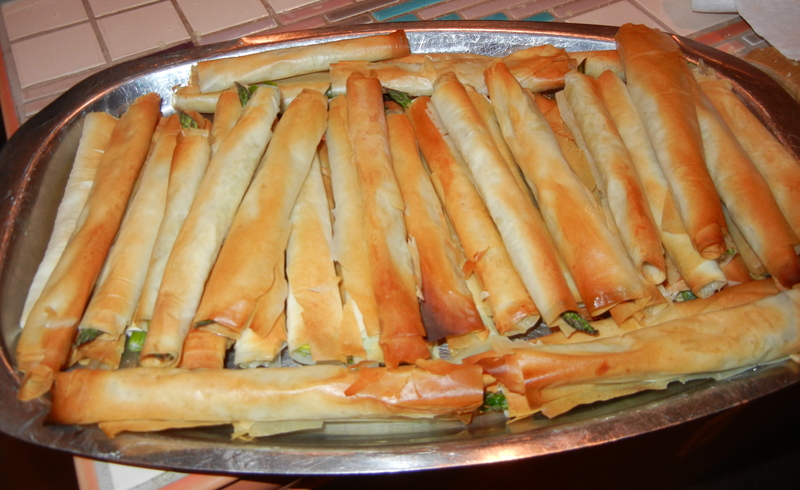 Yes, it’s potluck time again. H-N is supposed to bring salads. I know I have to make something with tomatoes, because I have 6 tomatoes sitting on my counter that will certainly expire before I eat them. I usually take a chopped salad for lunch – tomato, cucumber, other veggies, some kind of cheese – but I think I had a lot of leftovers to take this week so the tomatoes didn’t get eaten. 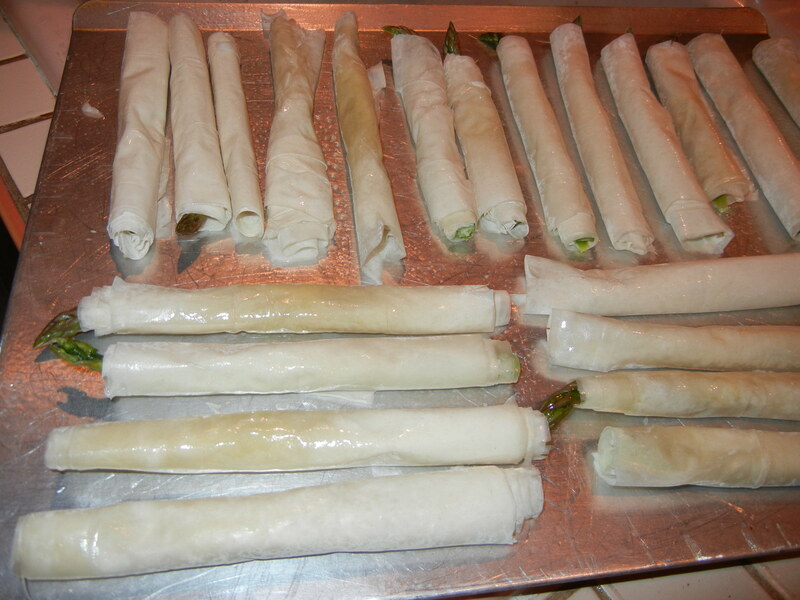 Also, I plan to do yard work all morning, so whatever I make has to be something quick and easy. 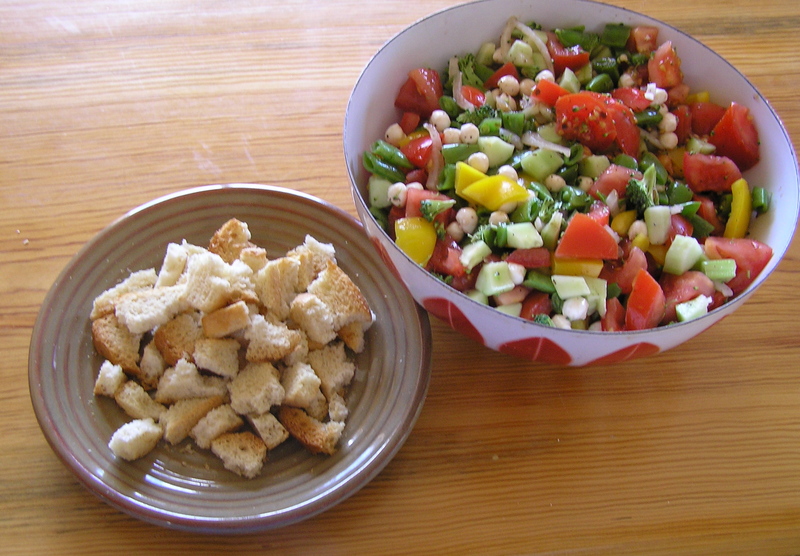 I decided to make a large version of a chopped salad, dressed up with bread croutons. I even used a good low fat bottled dressing, which I often use on my lunch salads, rather than home-made. I had quite a few other vegetables in the house, but I went to the grocery to buy a cucumber and see if there was something interesting I could add. 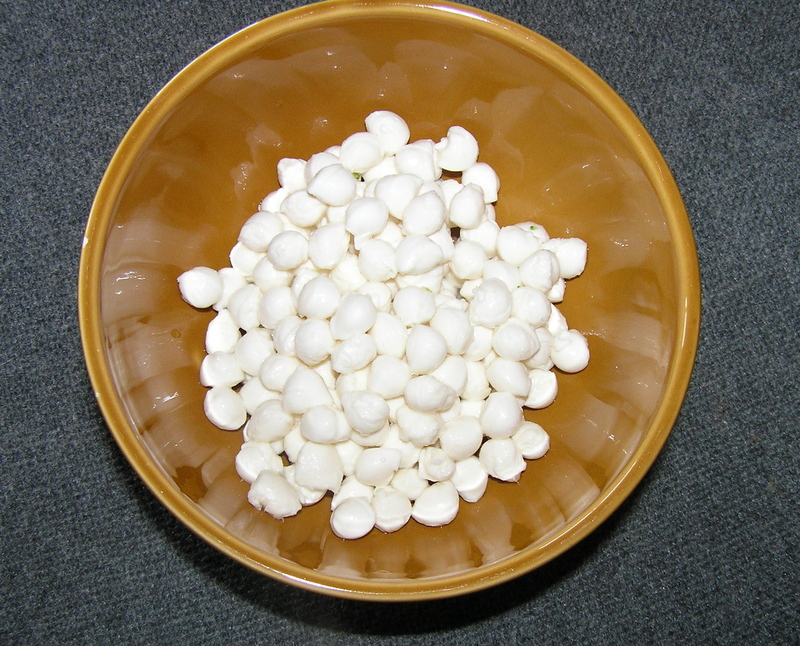 They are not fish eggs or giant tapioca. They are tiny balls of fresh mozzarella, just waiting to be mixed into a salad. Let me tell you, they were a sensation in the salad. Great Wow factor. Everyone exclaimed over them. The salad was pretty much gone by the time I gathered up my bowl to take it home. 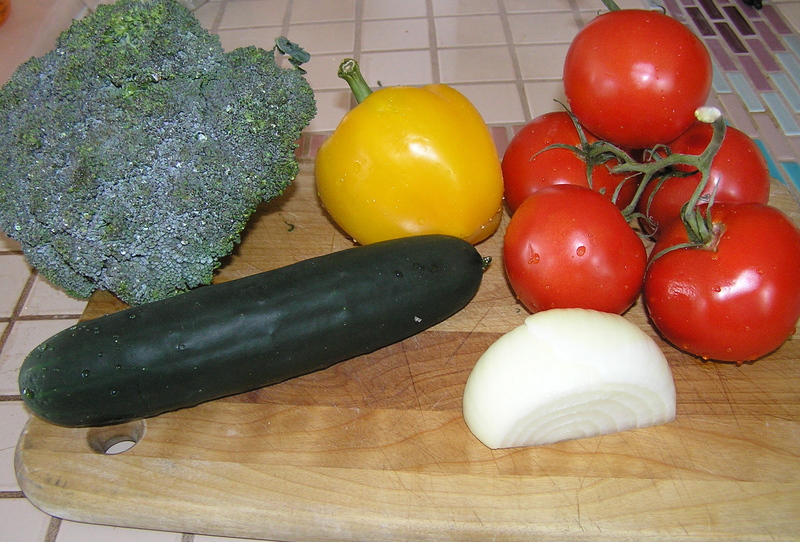 This is an imprecise recipe in terms of the veggies. You can use what you have in the house or what looks good in the store or at the farmers’ market. 8 slices of oven baked garlic toast, either home-made or from a bag. Toss together the vegetables, perlini, and salad dressing. 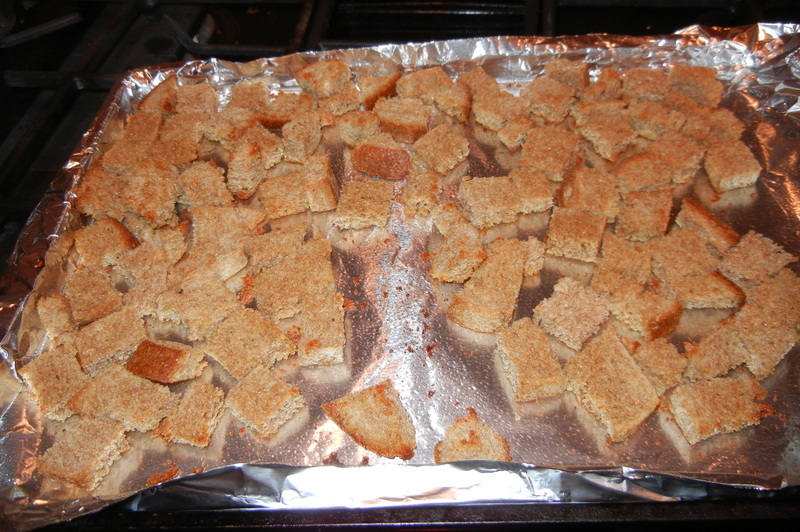 Break each of the toasts into 5-6 pieces. Add to the salad just before serving. This makes 10 servings, at about 5.8 grams of fat/serving. I packed the crumbled toast separately in a bag so I could add it after I hauled the salad to the potluck. That way the bread didn’t get soggy right away. Someone in my office requested that I bring goat cheese and the famous Jezebel Sauce to the office holiday potluck. Never one to leave well enough alone, I decided that I should fancy up the goat cheese. Since Jezebel sauce is pretty spicy, I decided that I needed to make the logs either sweet or rather plain. I rolled one of the logs in chopped, toasted pecans. 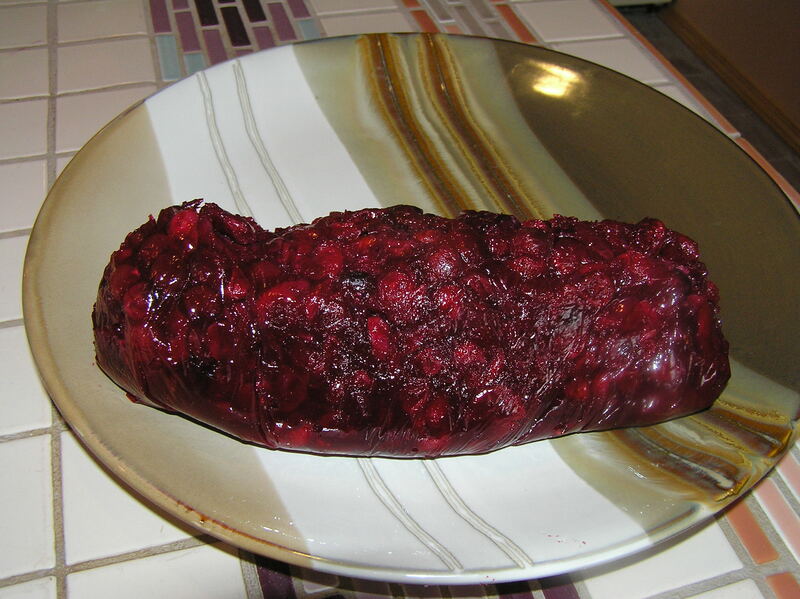 I wrapped the other in cranberries. 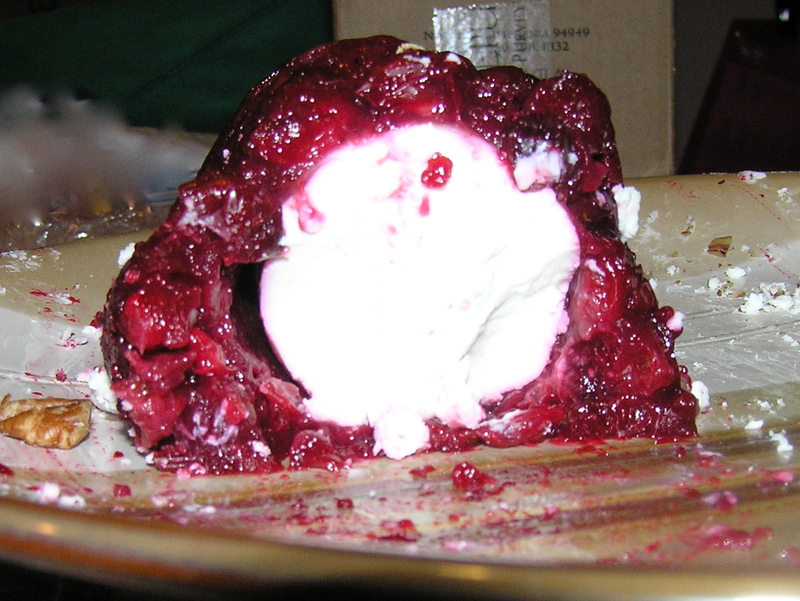 This recipe for cranberry-wrapped goat cheese log appeared in my local paper and is just in time for holiday parties. The recipe called for a one-pound log of goat cheese, but the Costco logs are only 11 ounces. In retrospect, I should have combined 2 logs to create a fatter 16 ounce log, or used less of the cranberry wrap, since the log came out a bit uneven (but delicious). I also would suggest chopping the cranberries coarsely, since I thought the whole cranberries were harder to wrap nicely. The log travels well if you wait to unwrap the plastic wrap until you get to your destination. You can make it ahead and refrigerate it for a day or so. 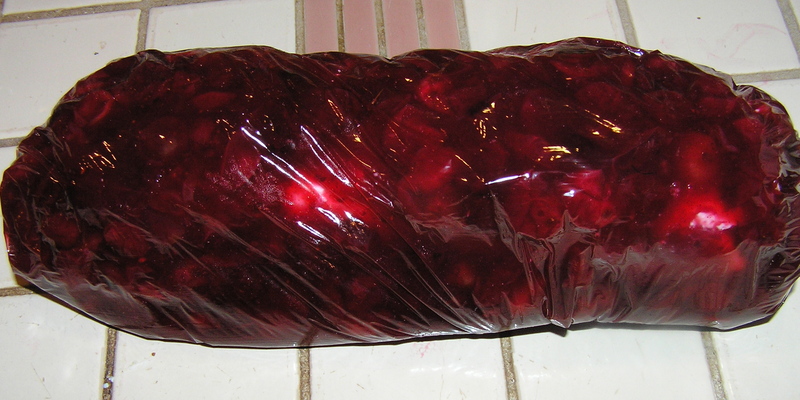 Once the cranberry sauce has cooled, lay an 18 inch sheet of plastic wrap on the counter. 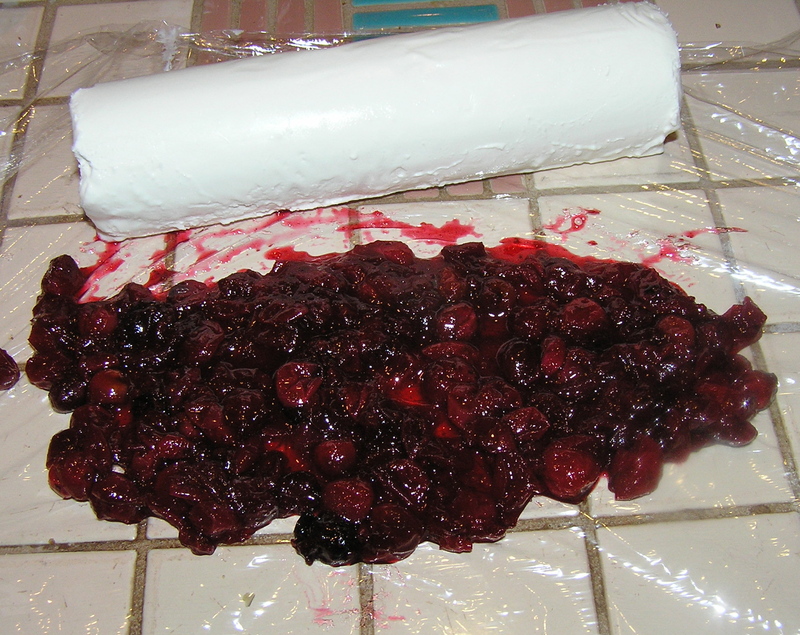 Spoon about 1/2 cup of the cranberry sauce on the plastic wrap, making an even rectangle slightly larger than the goat cheese log. Place the goat cheese on top of the sauce. Spoon the remaining cranberry sauce mixture over the log, coating it evenly. 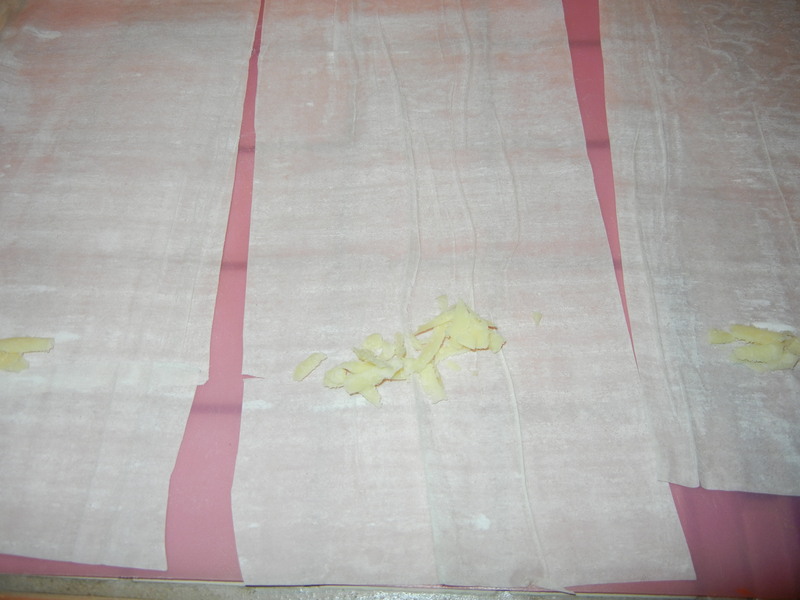 Gently roll the log up in the wrap, using the plastic to mold the sauce around the cheese. Twist each end closed. Note – I had trouble molding the sauce evenly. Note the misshapen wrapped log. This is why I think chopping the berries slightly might help. This makes 11-16 one ounce servings, at about 5 grams of fat/serving. Thisis actually the leftover log I brought home.